Glucosinolates are sulfur-containing compounds found in cruciferous vegetables. These are the vegetables like broccoli, Brussels sprouts, and kale which have a characteristic bitter taste and pungent aroma. If these are the kinds of foods you push aside on your plate, you are missing out on some seriously good nutrition. Besides being packed with vitamins, minerals, and fiber, glucosinolate-containing foods offer benefits that may extend well into the prevention of serious illnesses including cancer. When you eat cruciferous vegetables like broccoli, the glucosinolates contained in them are broken down into compounds called metabolites. Metabolites are the naturally occurring substances that affect the pace of metabolism and trigger specific enzymatic reactions. A 2009 analysis coordinated by the National Cancer Institute reviewed 31 epidemiological studies into the association between cruciferous vegetable intake and lung cancer risk and concluded that high intake may decrease the risk by anywhere from 17 percent to 23 percent. 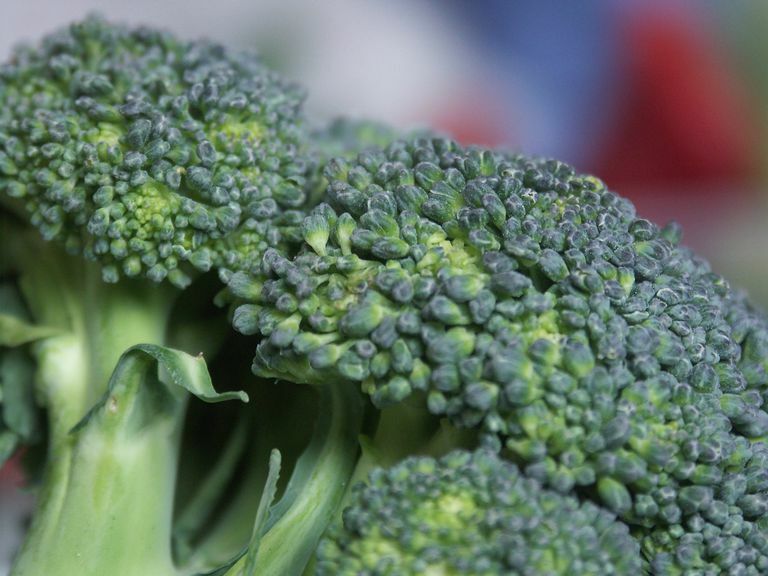 A 2012 study from the Department of Epidemiology at the Institute of Pharmacological Research in Italy further reported that the regular intake of cruciferous foods offered between a 17 percent and 23 percent reduction in the risk of colorectal, breast, kidney, esophageal, and oropharyngeal (mouth and throat) cancers. Many believe that the compound indole-3-carbinol, which is released into the system when glucosinolate-containing foods are eaten, may be key to this effect. While less robust, other studies have suggested that cruciferous vegetables may provide protective benefits against cardiovascular diseases such as heart attack and stroke. With that being said, a diet rich in these foods doesn't necessarily mean that you're getting highest quality glucosinolates. The is because cooking the vegetables can destroy an enzyme, known as myrosinase, which helps convert glucosinates into the individual metabolites. While this doesn't entirely erase the benefits of eating cruciferous vegetables, it can't help but degrade them considerably. Thinly slice red cabbage into a salad for added texture and color. Quickly blister individual brussel sprout leaves in a hot frying pan and toss them into a salad. Eat fresh slaw rather than allowing it to macerate in an acidic dressing (the latter of which is a form of cooking). Quickly stir-frying bok choy or mustard greens will help retain more of the nutritional benefits. Try eating raw broccoli, radish, and cauliflower as a crudité with a yogurt dip. Finely grate fresh horseradish on top of food rather than using prepared versions or adding it in during cooking. Bosetti, C.; Filomeno, M.; Riso. P. et al. "Cruciferous vegetables and cancer risk in a network of case-control studies." Ann Oncol. 2012; 23(8):2198-203. DOI: 10.1093/annonc/mdr604. Lam, T.; Gallicchio L.; Boyd, K. et al. "Cruciferous vegetable consumption and lung cancer risk: a systematic review." Cancer Epidemiol Bio Prev. 200; 18(1): 184-95. DOI: 10.1158/1055-9965.EPI-08-0710. Pollack, R. "The effect of green leafy and cruciferous vegetable intake on the incidence of cardiovascular disease: A meta-analysis." JRSM Cardiovasc Dis. 2016; 5:2048004016661435. DOI: 10.1177/2048004016661435.